The famous modern artist Alexander Calder is from a lineage of artists including his father, his mother, and his grandfather. Alexander Stirling Calder (Calder’s Father) was a well known sculptor with many large scale projects in his repertoire such as the Swann Memorial Fountain in Philadelphia. 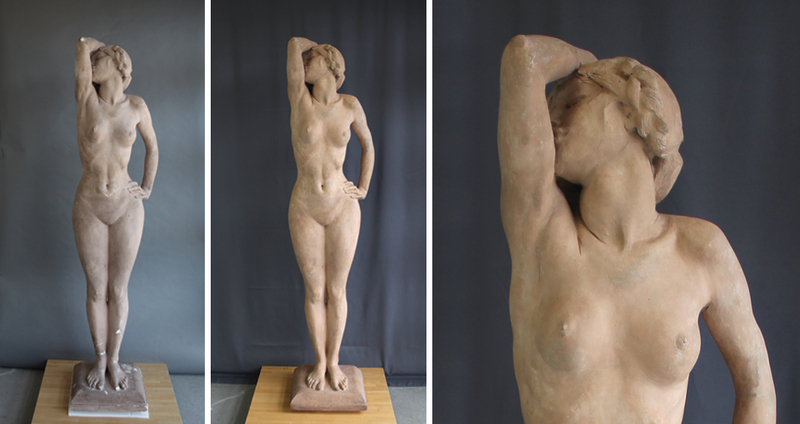 This untitled painted plaster sculpture of a stretching woman may have been part of a study for a permanent work or a stand alone sculpture. 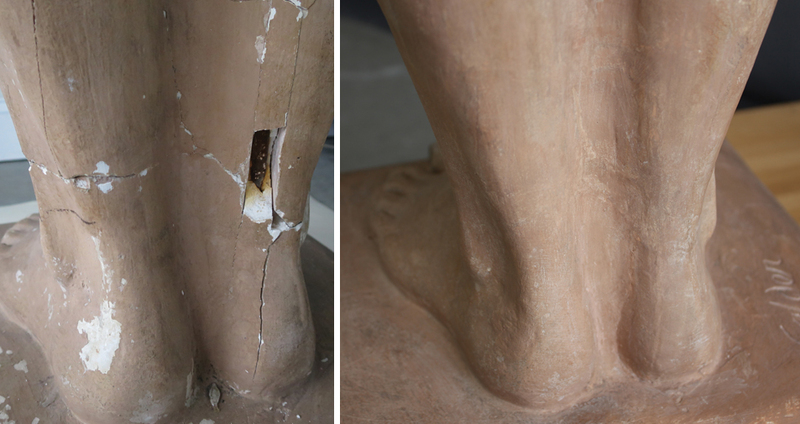 The conservation included structural reinforcement of the ankles (an area with at least two previous campaigns of restoration), removing surface soiling, and inpainting surface losses. 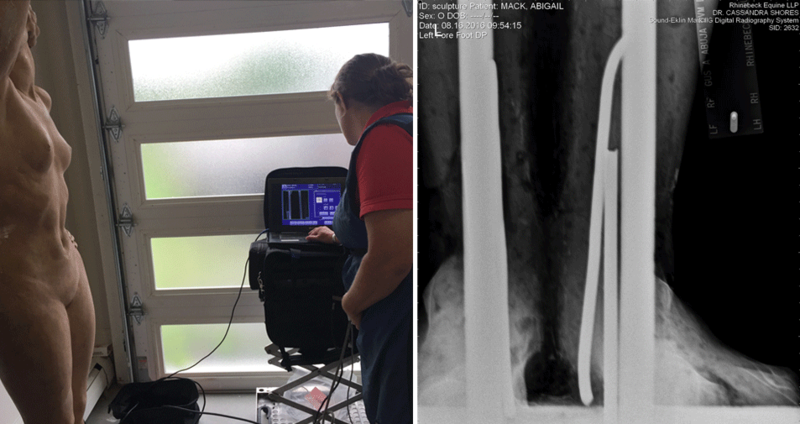 Instrumental in this conservation treatment was the use of on-site digital radiography provided by a large animal veterinarian – a first for both art conservation and veterinarians.